The Best Performance – Basic Track category recognizes the highest performer among groups only reporting on HbA1c control. 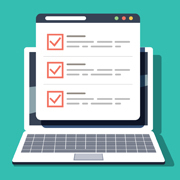 The Best Performance – Core Track categories recognize the highest performers across different group sizes reporting on the diabetes bundle measure. This measure includes HbA1c and blood pressure control rates, statin management, and medical attention for kidney disease. These four high-performing AMGA organizations will be recognized at the Foundation Celebration during AMGA’s Annual Conference, March 27-30 in National Harbor, Maryland. There is a paucity of cardiovascular health subgroup data for our minority patients and this likely contributes to the disparities in outcomes. The National Minority Cardiovascular (NMC) Alliance and its partners are working diligently to fill that data gap through the dissemination of a confidential Patient Experience Survey and a companion Provider Survey. The Provider survey is designed to collect information on what healthcare professionals perceive as the challenges confronting minority cardiovascular patients. All eligible providers who complete this 10-minute survey will receive a $15 Amazon gift card. Has your organization successfully worked with patients to reduce high blood pressure and improve heart health? If so, you might be a 2019 Million Hearts® Hypertension Control Champion! 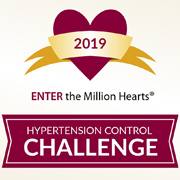 Health professionals, practices, and health systems that have achieved hypertension control rates of at least 80% are eligible to enter the 2019 Million Hearts® Hypertension Control Challenge. Share your success story and you could join many Together 2 Goal® and Measure Up/Pressure Down® participants that have been recognized in these annual awards celebrating exceptional hypertension control. 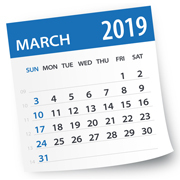 The submission deadline is April 1, 2019. ©2016 AMGA Foundation. All rights reserved.